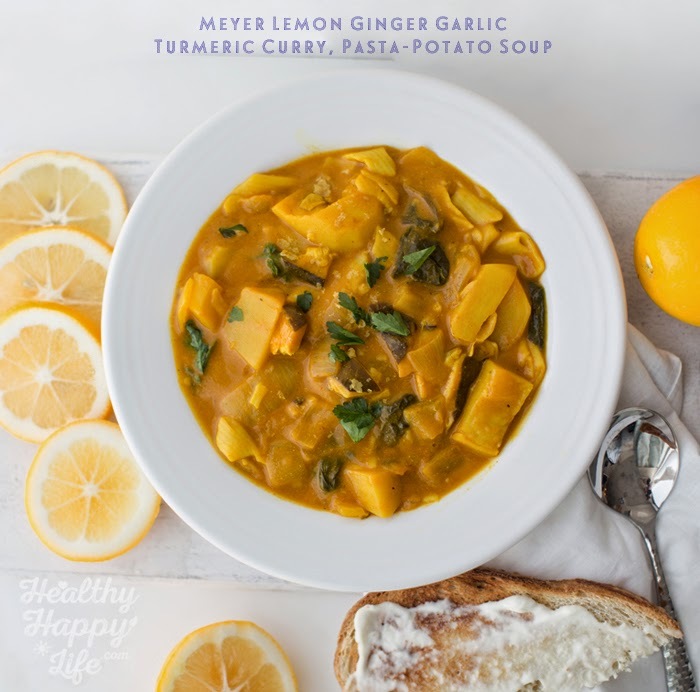 Meyer Lemon, Ginger Garlic, Turmeric Curry, Pasta-Potato Soup. A few nights ago I posted a photo of this soup on Instagram, and many of you requested the recipe. And I do not blame you! 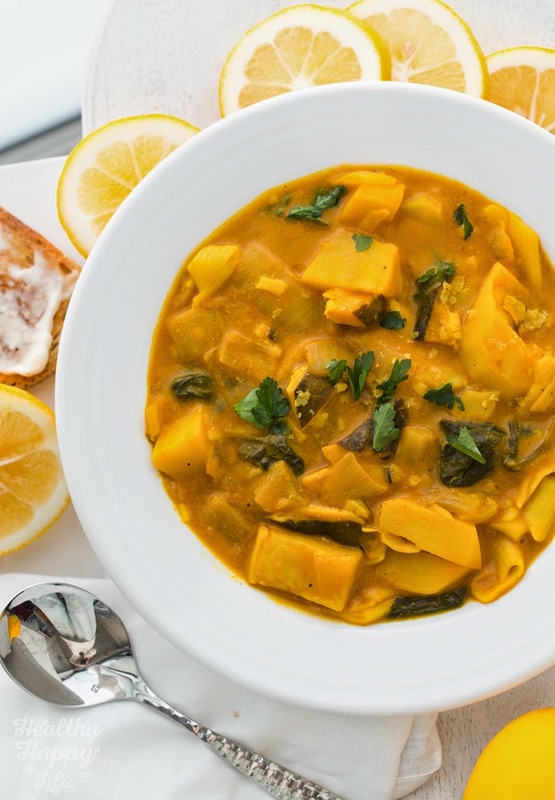 This creamy, vibrant, warming, wellness-infused soup is off-the-charts delicious and healthy. 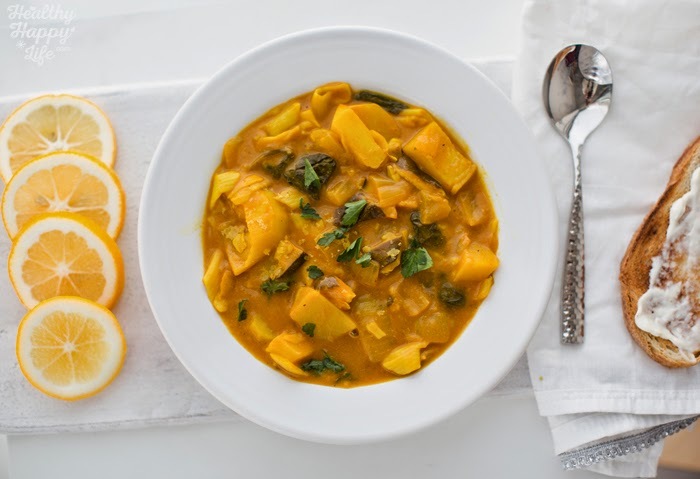 I hope you can cozy up to a bowl of this soup very soon! 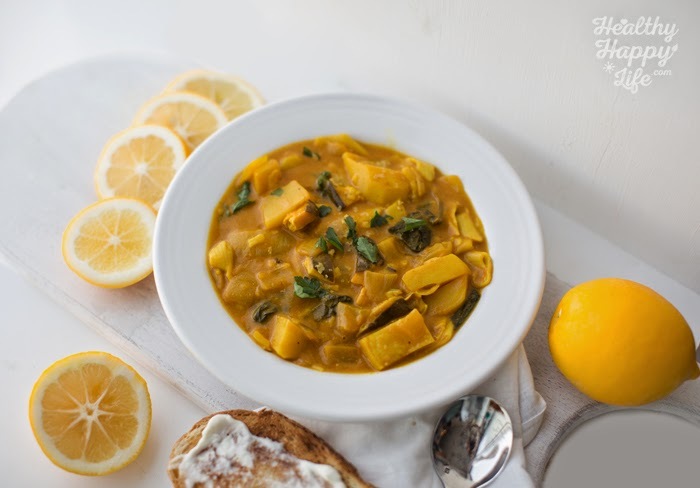 Get my recipe for Meyer Lemon, Ginger Garlic, Turmeric Curry, Pasta-Potato Soup..
Sunshine Broth. Sometimes I crave a hearty stew, but with a non-tomato-y base. 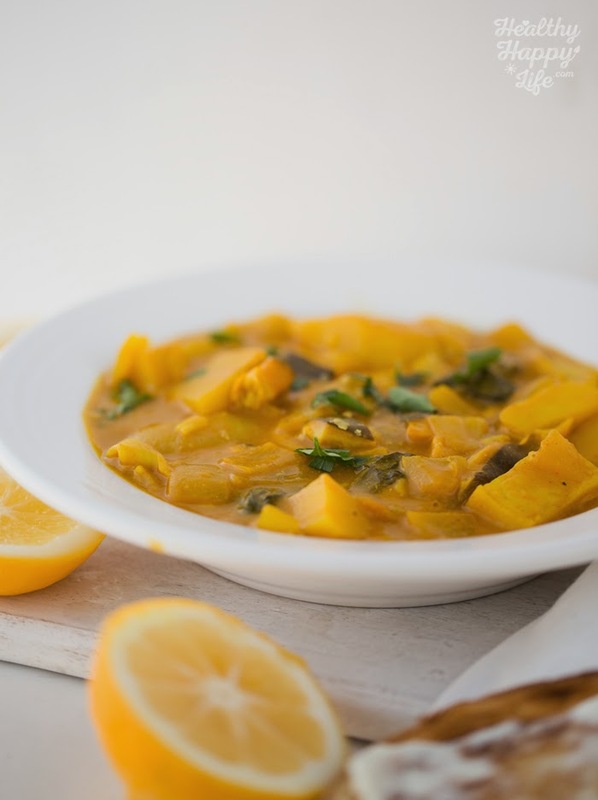 One that is rich and creamy, but infused with unique and vibrant flavors like lemon, ginger, garlic, bay leaf, onion, turmeric and potato. 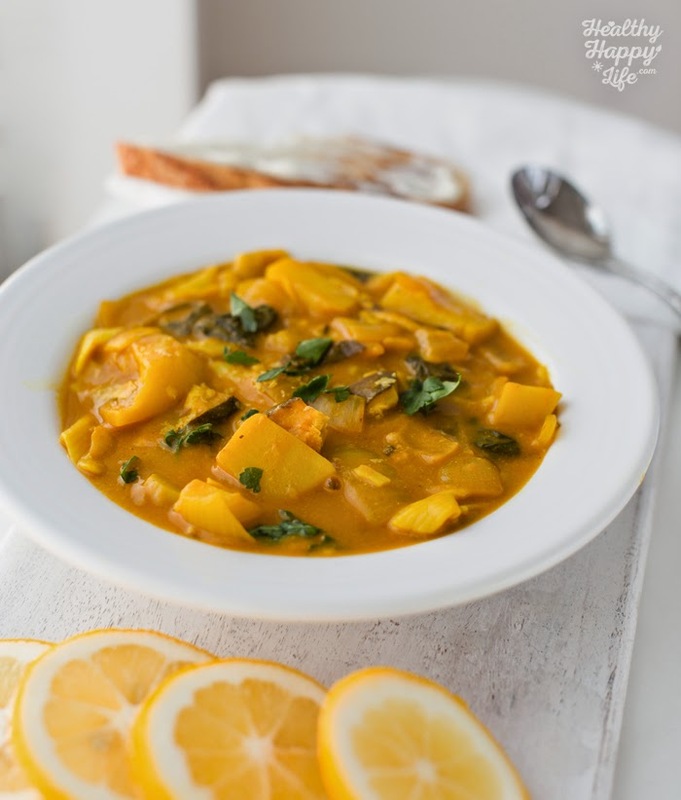 This soup gets thick and creamy from the pasta and the potato starch, yet stays thin and light from the astringent lemon. 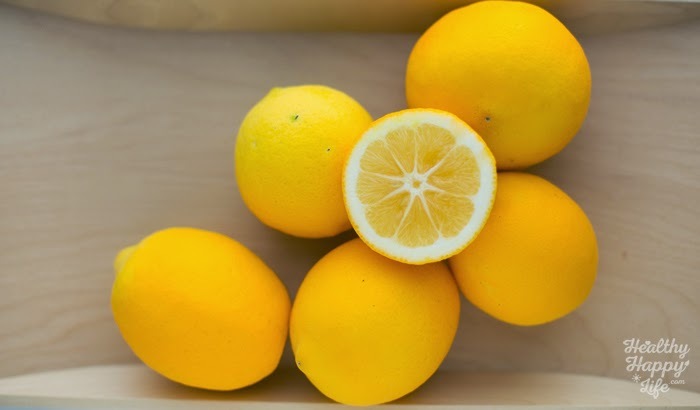 Using a Meyer lemon makes things less tart than a normal lemon. The Meyer lemon serves up smooth and sassy, sunshine-filled spoonfuls. Wellness Soup. 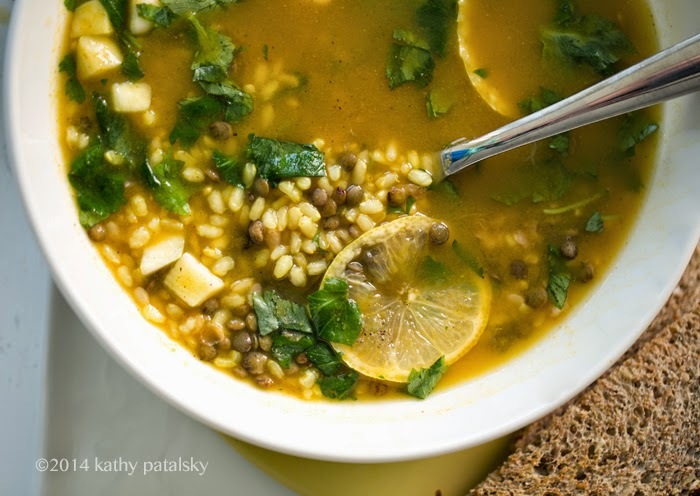 Oh my gosh, this soup is an immunity-boosting powerhouse! 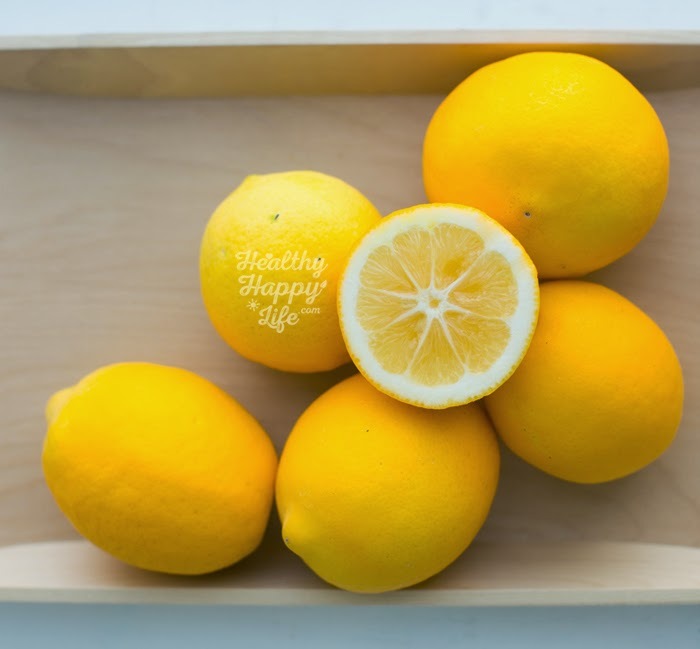 Check out these ingredients which may help boost your immune system..
Lemons! I have to give a big shout-out thank you to my friend Cat who gave me these freshly-picked, giant, kinda-oddly-shaped-and-unique, beautiful, fragrant Meyer lemons from her tree. Thank you! Produce ALWAYS tastes better when it is home grown, and especially when given as a gift! 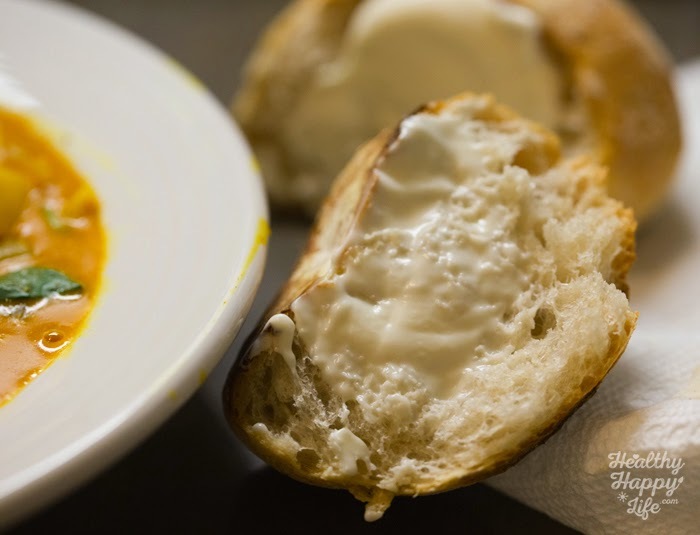 I love serving this soup with a fresh roll, toasted and slathered in vegan mayo. But that's just me. This creamy, warming vibrant soup has many wellness ingredients to keep your body humming and feeling welcomed. In a large soup pot, add the olive oil, onion, bay leaf. Saute until onions become browned on edges. Pour in the veggie broth and add the potato, lemon juice, mushrooms, ginger and garlic. Bring to a boil, then cover with lid and reduce head to low. Simmer, covered for about ten minutes, to cook the pasta and potatoes. Stir in the curry, turmeric, nutritional yeast, salt, cayenne and black pepper. Simmer uncovered, on low until the soup is thickened to your desired consistency. Right before serving, add the leafy greens over top the soup and cover pot with lid for a few minutes to wilt the greens. Serve steamy and warm with a few pinches of nutritional yeast on top. I always serve with a toasted roll slathered in vegenaise. Note: You can add some legumes like chickpeas to this stew if you'd like, you may want to add more broth also. 50 days to go! My new cookbook will hit stores April 28th. But do not forget to pre-order my new book, Healthy Happy Vegan Kitchen and claim your free bonuses! Try another lemon soup! Lifting Lemon Rice Soup..